It’s been a long week, and no doubt a downer for some of us. So if you need a dose of cheer, check out the latest Google Doodle. 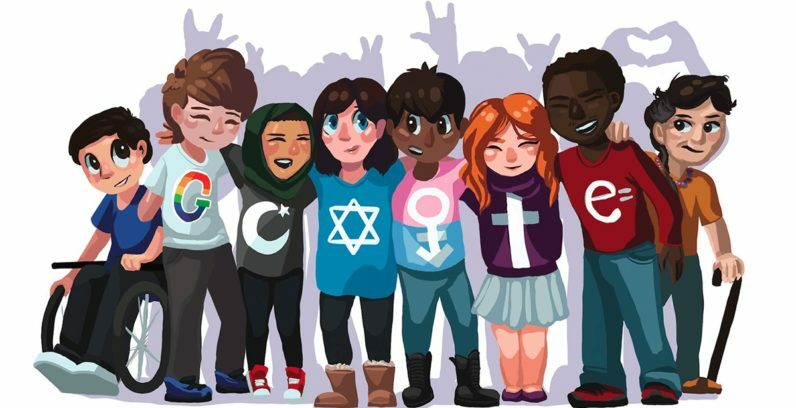 This adorable pic, showing a group of friends of different races, religions, and body types, is titled “A Peaceful Future.” It’s the work of Sarah Harrison, a 15-year-old from Connecticut and the winner of the Doodle 4 Google contest. The contest, aimed at American children, started last year. The kids were asked to draw what they saw for the future. Considering most of the finalists’ drawings are bright, colorful, and convey a message of social responsibility — maybe the future is a little bit brighter than we expect. Sarah wins a $30,000 scholarship, and a $50,000 technology grant for her school. She also gets the attention of the whole world with her Doodle on Google’s homepage. Other visions of the future include a picture of a motherboard assembled from recycled e-waste, a mobile hospital, and the return of extinct animals, including a texting mammoth.